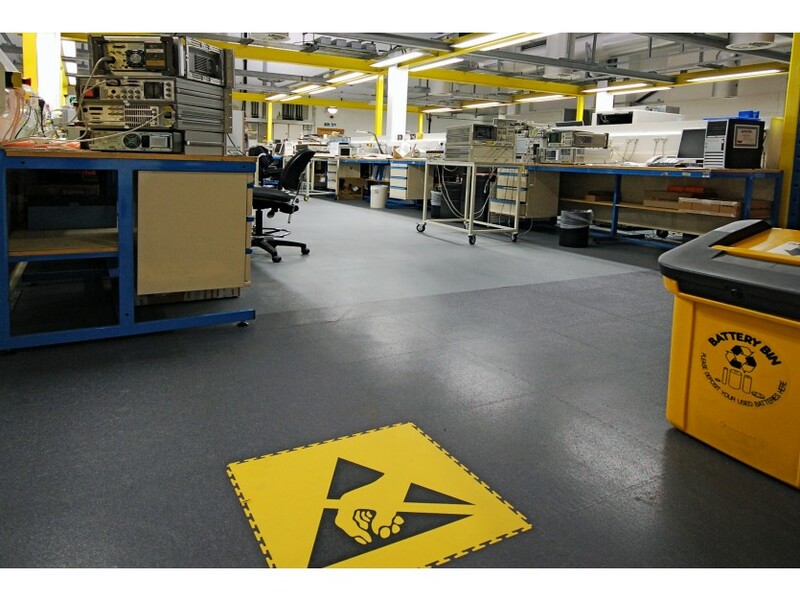 For over 20 years, Ecotile has provided world-class, sustainable flooring from its plant in Luton. The PVC interlocking floor tiles are resistant to oils and chemicals and can withstand forklift traffic. From a business that began life in a North London shed, Ecotile has grown into a thriving factory of almost 30 employees. If you haven’t attended one of the recent Made in Britain workshops, you may not have seen the offer that Ecotile are extending to other members. After attending a workshop the team at Ecotile designed a coaster-sized sample of their PVC flooring with the offer attached. For those of you hungry to take advantage, they’ve offered 15% their products to MiB members. To claim the offer, all you have to do is call 01582788232 and quote your Made in Britain membership number. If you need assurance of Ecotile’s quality, two Queen’s awards and a royal visit ought to do the job. Each year, the Queen’s Award for Enterprise rewards businesses that excel in the areas of innovation, international trade, sustainable development and promoting opportunity through social mobility. In 2017, Ecotile was thrilled to win in the categories of Innovation and International Trade.